Shopping center, Cape Town, South Africa. 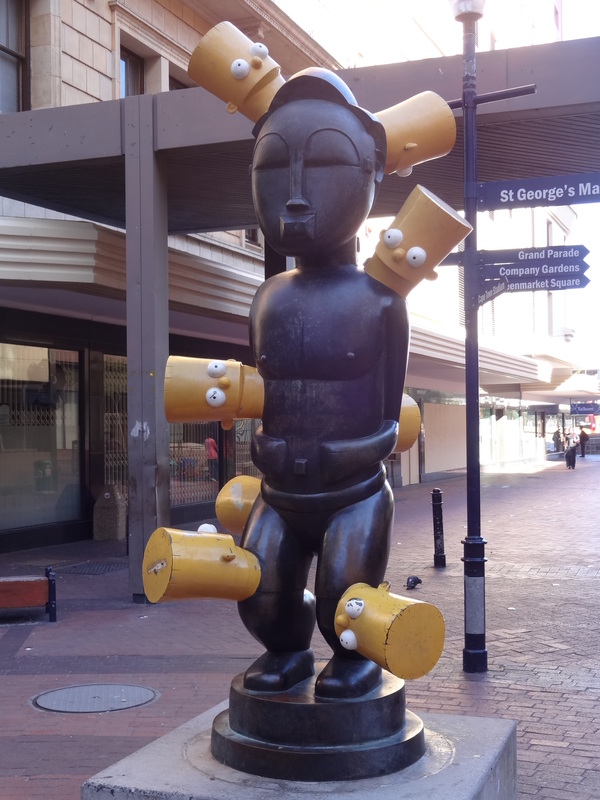 Bart Simpson meets African statue….why?! Someone please explain! That is almost creepy looking. How cool is it though. Great photo for odd balls. Thank you for the throaty laugh on this Sunday morning! This is right up there with Doha airport’s enormous teddy bear statue with a lampshade on its head. Yuk. I’m going to do a post on that teddy bear later! Loving Cape Town. See you next week! That’s pretty weird and oddball, for sure. Good one!